Today's Latvian territory became part of the Russian Empire in the early 18th century as a result of the Great Northern War. The end of the 19th century was marked by the first Latvian National Awakening, but the idea of an independent Latvian state became a reality during World War I and Russian Revolution. Latvia proclaimed its independence in 1918, but Soviet Russia invaded the Republic of Latvia shortly after, and the Latvian War of Independence began. The war officially ended in August 1920 when the Treaty of Riga was signed. However, the Latvia's independence was recognized by the international community only several months later. 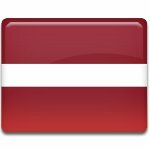 On January 26, 1921 France, the United Kingdom, Italy, Belgium and Japan recognized the independence of Latvia. The recognition de iure of the country's independence is considered one of the most significant events in the Latvian history along with the proclamation of the Republic of Latvia and signing of the Treaty of Riga. The anniversary of this event is an important observance.